Back in June when I was playing with Mahesh Raghunandan, we had the opportunity to open for Parvaaz. I remember walking into B Flat and listening to the sound check and being amazed. We played our gig and Parvaaz walked in, gave a great performance to a house full crowd. I walked away thinking I need to listen to their stuff – there were rumours of their debut album. Baran means ‘Rain’ in Persian. With the lyrics of the album written in Urdu/Hindi/Kashmiri (my best assumptions after listening), the songs are power packed with a blues feel. The use of ambient sounds and textures are many which gives a good flavour to the songs. I wasn’t too satisfied with the vocals as it sounded too feeble. ‘Beparwah’ has this sound of siren which sets the tone for the song. ‘Ab Ki Yeh Subah’ begins as a soft acoustic melody until it progresses into a multi-instrument song led by a beautiful violin solo. The song further progresses into a violin dominated melody jam more like you would expect an Irish folk sequence with foot tapping (perhaps I’m imagining the song in Titanic by Gaelic Storm). ‘Gul Gulshan’ has this minimalist structure until it takes you to the 60’s with a grungy riffed outro. ‘Roz Roz’ sounds like a folk song. 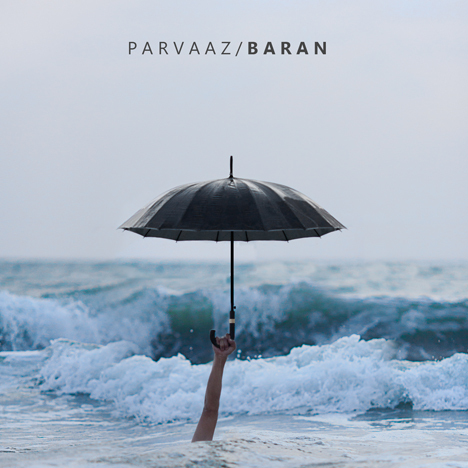 ‘Baran’ glides in from the outro of ‘Roz Roz’ with a Sheep-like (Pink Floyd) intro. This 14 min epic contains the gist of the album musically with its multiple influences, progressive structure and the telephonic voice of Martin Luther King, Jr. and his ‘I Have A Dream’ speech. This song has one of my favourite melodies (and I’m trying to figure out it’s time signature right now). ‘Ghaib’ is probably the one and only melancholic track of the album. ‘Fitnah’ is a groove dominated track which contains a saxophone piece that takes you back to the golden era of Bollywood music. ‘Ziyankar’ has an alternative rock element and feel to it with blended saxophone sounds.